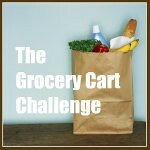 The Grocery Cart Challenge: Remember Those Questions? Remember a week or two ago when I opened up for questions? Well, I've answered some of them privately and I'm starting to tackle the public ones. I am interested in your religion. I read both of your blogs and you do not quote the bible. But, your kids have all biblical names so you must be somewhat religious. I am curious about how much of your life revolves around your church and the bible. I also wonder what your husband does for a living because he works from home. To start with the easier question, my husband is an independent financial advisor. Which means he works for himself, governed by the state, and counsels people on financial strategies whether that's investments, trusts, estate planning, college fund planning or financial management. He works from his home office and meets clients in their homes. Therefore he is home a lot. Which is so great for our family life. The second part of your question is a little more complicated. I'm a Christian of no specific denomination and Jesus is personal to me. He's not a religious icon or a historical story, he's a friend and I try to live my life according to the Bible. We are very involved in church activities and yes, I intentionally don't quote the Bible on this blog. And here's why. This subject of this blog is universal....saving money. And while I do feel that my success at what I do with our groceries is definitely a provision from God, I also want it to appeal to everyone no matter what religion or belief system they have. I'd hate to have someone click away because they see a Bible verse and just aren't at a place where that speaks to them yet. I've been to Bible quoting blogs and while there are many out there that come across sincere, the rest sound fake and preachy and paint a picture of perfection that just isn't real. It turns me off and I'm guessing anyone who isn't a Christian clicks right over the top of them and moves on. I avoid religious language in real life and on this blog too. I don't use pretty Bible words when I pray. When I talk to someone about Him I talk in regular English not flowery talk that would make no sense to someone who doesn't know church-talk, and I want my life to be realistic. I struggle, it's hard, my marriage isn't perfect, my kids aren't always good, I get cranky, I lose my temper, I get discouraged, I sometimes feel hopeless but I've also got a place that I go to for strength and counsel and peace and that's Jesus. So the lack of Bible quotes is intentional and works for me. The behind the scenes e-mails and talks that go on simply because people see something different about the way I live my life is so much more effective at providing opportunities to share my faith than preaching to people that don't want to hear it. And it's a little bit scary to hang it out there like that but there you go. I love that you're real. Gayle, I wanted to tell you that I don't know if you remember me, but I asked your advice on your food planning and shopping a few weeks ago. Well, I got my budget down to $75/wk and yesterday paid $58.00 for the week!!! Thanks for helping me. I agree with your philosophy about the blogs that are very religious. I believe in God and pray but yet am turned off by those that preach their religion with every written and spoken word they use. While I have not been able to get my shopping down to your $60 week level, you have inspired me to save significantly and do less convenience purchasing of prepared foods and cook from scratch, the way our mothers did. Thanks for your honesty. There is definitely a difference that is noticeable because of your Christianity. Thanks for explaining why you blog the way you do. I know it's hard to be so open and honest especially on such a touchy subject. Hopefully this will speak to someone and open the door for a chance to tell them about our Jesus! Thanks for answering this one. Thank you! It is one of the reason I enjoy reading your blog so much. Wow! You are just the person I would love to meet in real life! A devoted follower, not a loud follower! I find really religious blogs a turn off. It's fine for people who want that, but when I see preachy blogs, I know they are not for me. (And my family goes to church, etc.) For me it's a personal thing. Thanks for all the inspiration and advice on keeping the grocery budget down! Thanks for this post. I think people tend to forget that faith isn't shown by our words, but by our actions when we think no one is looking. Thanks so much for this post! I figured you had to be a Christian, and it is great to see someone living their life honestly without flaunting it to everyone. Your actions truly speak louder than any words you could put on your blog. I wish churches were filled with more people like you and less hypocrites! There are more bible thumpers in this world than people who actually live their faith. Religion is to be lived not shoved down other peoples throats. Lead by example. Just remember the roots of all faiths and live by them for everyone has its good teachings and its bad. I agree with Faeden's comment. Our faith is living...it's actions. Preaching is just like a banging cymbal sometimes. Just noise. Love your answer to this touchy question. Thank you for posting your personal religious views. It was very well written. Wow! I love what you said! Thank you for being so honest. Living your faith is a greater testimony (IMO) than constantly talking on and on about it. People who seem "churchy" often make other, less outspoken Christians feel bad about themselves, like they are not as good as them. You are real, and I like that. PS - I get cranky too!!!! I guess I must be the only one that is shocked that someone would ask such a question. Good on you for answering it, but personally I wouldn't have only because it would have really REALLY annoyed me. You speak from my heart also, thank you! I come here for good sound kitchen finance advice, how I share my life with God is personal and I want to thank you for taking a public stand for all of us. Amen, Sister! You live it and those who honestly LIVE it don't need to cramming it down other's throats in every sentence. You're the best, Gayle. I'm actually in agreement with Kelley above. I felt myself getting irritated just reading the question, and it wasn't even asked of me! There seems to be a thinly-veiled value judgement underneath the question that also creeps into some of the replies that this post has garnered. That, specifically, is what I find offensive. Wow, hard questions to answer. Thanks for being honest. Truly, though this is a little discouraging. I want to be sincere and authentic with everyone, no matter their beliefs. Yet I love God's Word and I think it is truth not limited by time or culture. So it's hard for me to understand how other Christians would find it offensive to quote scripture. Tough issue. Please don't be discouraged. This is who God made ME to be. We're all different in the way we communicate Him to others. I truly don't think it's offensive to quote scripture, but I'm someone who loves scripture. Look at it from the point of view of someone who is either hurt by the church or doesn't want to hear it. Timing is everything in those cases. As a young Christian, I find it very inspiring to see someone who lives their faith so well. I think it's a beautiful thing you are doing, putting the health and unity of your family before money, and being so positive and determined about it. 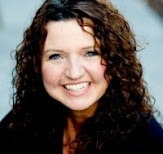 Question: How are you planning financially for college for your kids?